Almost all states require drivers to carry a minimum amount of auto insurance. Unfortunately, many drivers ignore this law. For example, 25.9% of drivers in Oklahoma are uninsured, according to 2012 data from the Insurance Information Institute. This is the highest rate in the nation, but every other state also has a significant percentage of uninsured drivers. Of course, these drivers aren’t only flouting the law; they’re also jeopardizing your financial future. When a driver without auto insurance hits your car, you might be on the hook for your own medical bills and repair costs. These economic consequences can come not only from uninsured motorists, but underinsured ones as well. 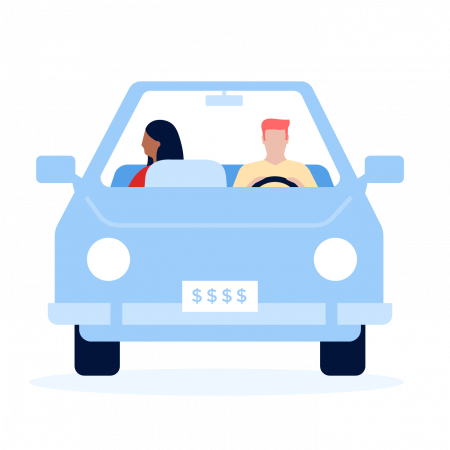 With some state minimums as low as just $10,000 in personal injury coverage, a huge percentage of Americans are driving around without nearly enough liability insurance. That’s why it’s a good idea to carry uninsured and underinsured motorist coverage. These pay your medical bills — and sometimes your property damage costs — if the person at fault in your car accident doesn’t carry automobile liability insurance or doesn’t carry enough. For an idea of how costly it can be to get in an accident with an uninsured motorist, just imagine the cost of even short hospital stays. Don’t forget to factor in ambulance costs, emergency room care, missed work, specialized rehabilitative care, physical therapy, and potentially even at-home skilled nursing care. Even if you’re in an accident with someone who has minimum coverage, $10,000 won’t go very far toward meeting your needs. Many people assume that their health insurance will pay all medical bills arising from an auto accident. This may or may not be the case. Even when your health insurance does cover all your medical costs, it typically won’t pay for time off work, long-term care or cosmetic surgery — not to mention that you’ll still owe deductibles and copays. Uninsured motorist insurance also kicks in when the at-fault driver leaves the scene of an accident. Both can work either in place of or in tandem with your health insurance and can help pay for days off of work or long-term specialized care. Of course, you can always sue the person who caused your accident — but people who don’t have or can’t afford auto insurance often have no assets and couldn’t pay a verdict. I generally suggest clients purchase as much uninsured and underinsured motorist coverage as they have in general liability insurance. After all, if you have $100,000/$300,000 in general liability and only $50,000/$100,000 in uninsured or underinsured motorist coverage, you’re purchasing more insurance for others than for yourself. That might appear to be very nice, but is it practical? » MORE: How much car insurance do I need? Every state has its own rules and regulations around these policies, as with all insurance. According to the Insurance Information Institute, about 20 states require some version of the two; the rest don’t. But just because your state doesn’t require them doesn’t mean that you do not need it. Uninsured and underinsured motorist coverage can help you avoid potentially catastrophic situations. Scott W. Johnson is an insurance agent and manager at Marindependent Insurance Services.